"Carry each other's burdens, and in this way obey the law of Christ." I am writing to you from the team house in La Vega, Dominican Republic. We are incredibly grateful that the Lord led the eye of Hurricane Maria north of the DR last week. We experienced a lot of heavy rain and some strong winds, but praise God, our friends and staff in La Vega and surrounding areas are safe and well! 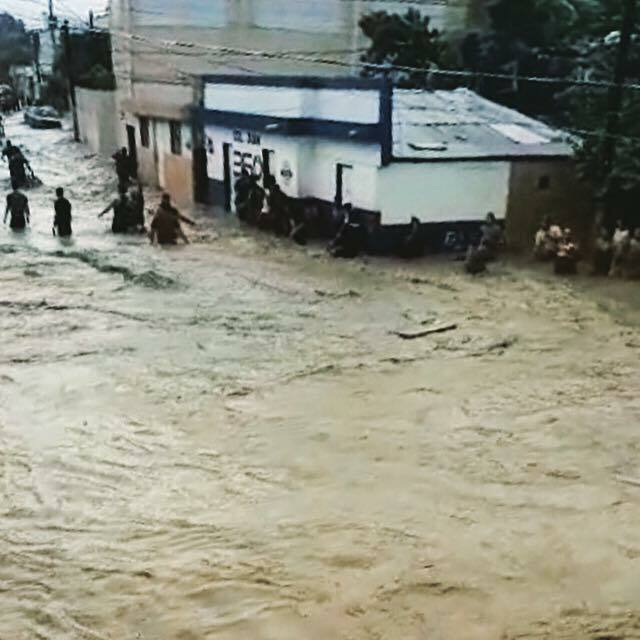 Despite the redirection of the hurricane, many towns in the DR have been greatly affected by floods due to the rain that the storm brought to the area. Our friend, Pastor Ignacio, has 6 families in his congregation in San Francisco de Macorís that have been personally affected by these floods. Their homes have been flooded and many of them have lost almost everything in their homes. We want to be the church to these dear brothers and sisters in Christ. Our goal is to provide some necessities for each of the 6 families in Pastor Ignacio's church that have been affected by these floods. The needs that Pastor Ignacio has expressed to us include blankets, sheets, towels, children's clothes, adult clothes, and mattresses for them to sleep on. Please prayerfully consider giving to help us carry some of the burden of our brothers and sisters in San Francisco de Macorís. Thank you in advance for your generosity! Use Designation - "Hurricane Maria Relief"